Hundreds of child abuse victims and their families are being denied a method of healthcare that experts praise because the University of Iowa Hospitals and Clinics shut down a specialized outpatient clinic that had been providing comprehensive service for 15 years throughout eastern Iowa. The facility, The Child Assessment Clinic, was run by Dr. Resmiye Oral, a pediatrician, and was closed June 2017. Now its clients are sent 32 miles away to St. Luke’s Child Protection Center in Hiawatha north of Cedar Rapids. The shutdown came as the number of child abuse findings have been increasing dramatically in Iowa while a $4.3 million cutback in state funding for the state Department of Human Services, which overseas child protection, have imposed severe caseload burdens, according to a recent report by the Des Moines Register. The report said child abuse findings increased 26 percent to more than 2,000 cases from 2016 to 2017, including increases in sexual abuse, physical abuse, neglect and cases of infants having illegal drugs in their system. However, the services of the two clinics were not entirely duplicative, according to an IowaWatch inquiry involving interviews, research and a study of their respective programs. The UIHC clinic provided significantly different services in a hospital setting than the St. Luke center does, including critical elements of the highly-touted “trauma-informed care” for dealing with the child abuse victims and their families. Although St. Luke’s — the state’s oldest child protection center — and other child protection centers like it play an important role in protecting children against child abuse in Iowa, Oral said the UIHC Children’s Assessment Clinic was the only medical setting in Iowa that practiced trauma-informed care with the children and their parents. Now, trauma-informed care is only practiced on children in mental health clinics such as Orchard Place in Des Moines. Trauma-informed care is a growing movement not just in Iowa but nationwide, said Gladys Noll Alvarez, trauma-informed care project coordinator at Orchard Place, where she has worked for 33 years. “We’re one of the only places that… has chosen an organizational model that is a trauma-informed care model to implement and get certified,” Alvarez said. Orchard Place is in the process of being a certified “sanctuary agency,” which she said is one of the many organizational models available. She said certification is a three-year process, and Orchard Place expects to receive it in September. Alvarez holds a University of Iowa master’s degree in social work and has worked with sexual abuse victims in individual, family and group therapy. 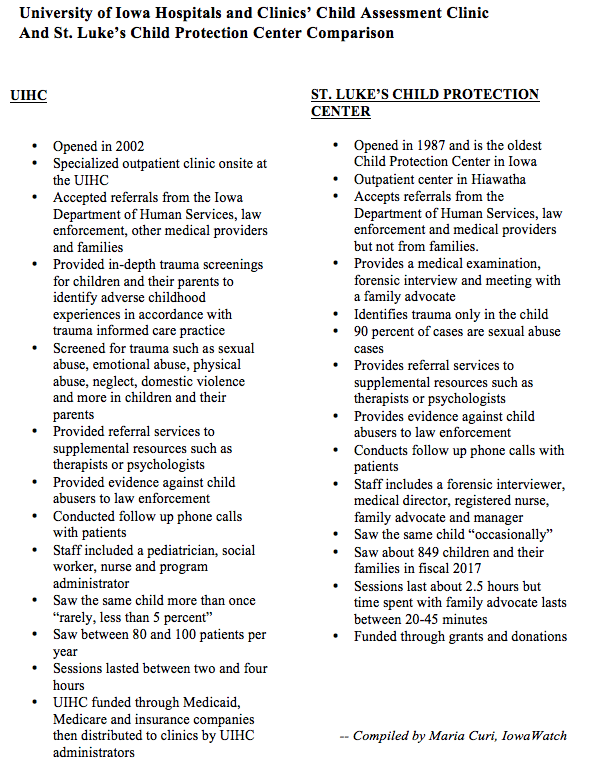 Unlike child protection centers such as St. Luke’s facility, the UIHC assessment clinic accepted all abuse and neglect allegations regardless of whether they had been reported to the Iowa Department of Human Services or law enforcement. It also accepted referrals of suspected child abuse victims from hospital emergency rooms and lay people, including parents, another service not provided at St. Luke’s, which acknowledges the importance of parental referrals. 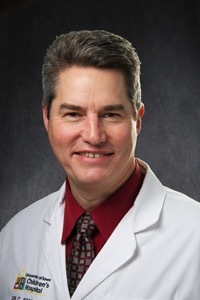 Dr. Charles Jennissen, a UIHC emergency room pediatrician, said Oral’s clinic provided a vital service to the families and children who rely on UIHC. Although a hospital emergency room is ideal for identifying trauma in patients, it is not a good place for assessing and connecting them with behavioral health specialists. Jennissen said Oral’s clinic was an on-site setting to which he would refer these patients. Oral, who provides inpatient consultation for children and families admitted to UIHC with concerns about child abuse or neglect, has more than 20 years of experience in child abuse pediatrics. She received training in identifying the cumulative impact on abuse victims from adverse childhood experiences through the ACE Interface Master Training Program. “Our society has become such a stressful society that all of us are being traumatized,” Oral said. She said effective treatment requires understanding the trauma and family history and other child abuse assessments included in trauma-informed care. Trauma-informed care can be applied to any system such as healthcare or education. It consists of realizing the widespread impact of trauma, according to the Substance Abuse and Mental Health Services Administration, an agency of the U.S. Department of Health and Human Services that leads efforts to advance the behavioral health. The agency says trauma-informed care specialists understand the potential paths for recovery; recognize the signs and symptoms of trauma in clients, families, staff and others involved with the system. They respond by integrating knowledge into policies, procedures and practices and understand how to avoid re-traumatization. Oral used her clinic as a tool for practicing trauma-informed care by providing in-depth trauma screenings for children and their parents. Screenings identify emotional abuse and other trauma experts categorize as adverse childhood experiences, which are commonly referred to as ACE. After those adverse experiences are identified, professionals such as Oral use that information to resolve issues of abuse and neglect. 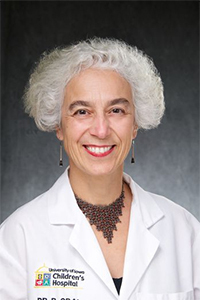 Oral said more research is needed to show administrators in charge of allocating hospital funds that trauma-informed care leads to better health outcomes down the road. In the fiscal 2019 budget, effective July 1, 2018, the state’s House Health and Human Services Appropriations Subcommittee allocated $40,511 for the study and collection of data on adverse childhood experiences. Subcommittee Chairman David Heaton, R-Mount Pleasant, said he understands the impact of adverse childhood experiences on someone’s behavior. “It opens them up to all kinds of problems whether it be physical, mental – it can do everything,” he said. Professionals measure trauma by the number of adverse experiences a child has confronted. In 2012, a study from the Central Iowa ACEs Committee found that more than half of the state’s adult population experienced at least one adverse childhood experience. The most common was emotional abuse, which accounted for 28 percent of the total. Nationwide, nearly 35 million or half of America’s children have experienced one or more types of childhood trauma, according to a 2012 study by the National Center for Health Statistics at the Centers for Disease Control. (see table). According to the Center for Disease Control (CDC), adverse childhood experiences (ACE) are categorized into three groups: abuse, neglect, and family/household challenges. Below are the top 10 most prevalent ACES divided into these three categories. 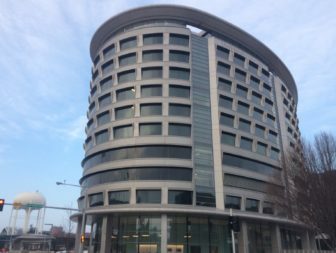 When the UI Children’s Hospital received a patient who medical personnel suspected was a child abuse victim, the child was sent to the on-site Childhood Assessment Clinic. At the clinic, Oral conducted a two-to-four-hour psycho-social assessment to identify adverse childhood experiences involving the child and the parents. In an assessment, she might find multiple trauma, parental substance abuse or domestic violence. Sometimes, the trauma would be a mental health problem or hostility between separated parents. If the assessment indicated that families needed supplemental attention, Oral would connect them with therapists, psychologists and integrated pediatric health homes where care for adults with a serious mental illness and children with serious emotional disturbances are treated. Stead Family Children’s Hospital at the University of Iowa. But, with the clinic closed, a suspected child-abuse victim is sent from the University of Iowa’s Stead Family Children’s Hospital to St. Luke’s Child Protection Center in Hiawatha. Moreover, the population that has not been reported to the Department of Human Services or law enforcement but have concerns or are at risk for abuse have one less clinic to go to where childhood adverse experiences are detected and trauma-informed care is available. St. Luke’s is one of six child protection centers in Iowa and concentrates solely on child abuse cases. The full process at St. Luke’s includes a forensic interview to determine facts about the suspected abuse, medical examination and a session involving the parents and a family advocate and takes an average of two-and-a-half hours. The time spent with the family advocate to assess parents’ attitudes and teach them about child abuse takes 20 to 45 minutes. This means two-thirds of the session is used for finding evidence and sorting out the facts of the child’s experience but these practices. Oral said screening the child and parents for trauma history, which can include sexual abuse, parental substance abuse or domestic violence is a comprehensive evaluation that cannot be completed in a short period of time. Trauma specific services recognize trauma and include collaborating with other human services agencies, which St. Luke’s does. In contrast, trauma-informed care, which Oral’s clinic practiced, requires that the entire organization be trained, and screenings have to be done not just on patients and but also on the agency’s staff – medical or not. Those screenings of staff are required for everyone – from receptionists to administrators, according to the Substance Abuse and Mental Health Services Administration, so that they understand their own trauma because trauma “greatly” influences the individual’s receptivity and engagement with the services they provide to clients including children who’ve suffered abuse. “Whenever I’m speaking to people I really talk about the difference between just practicing trauma-informed interventions – which is very good, (and) I’m not downgrading that at all – but when an agency is practicing trauma-informed care it’s looking at trauma from both sides of that lens,” Alvarez said. When asked in a follow-up email whether it would be accurate to say St. Luke’s center does not practice trauma-informed care, Kelly wrote back: “That statement is absolutely not true or accurate. St. Luke’s CPC practices trauma-informed care.” The response was relayed through Sarah Corizzo, a St. Luke’s communications employee. On the St. Luke’s website, a 2018 fundraising video explains its services; Kelly and other staff members do not mention trauma-informed care. Kelly’s email response said the center has link agreements with providers who deliver trauma-focused, evidence-supported services and gives CPC referrals priority on waiting lists. She, Corizzo and Laura Rainey, marketing director of UnityPoint Health all declined to provide IowaWatch with the names of the providers. They also declined to say whether the staff had received trauma-informed care training. The staff, in addition to Kelly, includes a forensic interviewer trained and certified by the National Children’s Alliance (NCA), a medical director who is a family practice physician trained in child abuse, a registered nurse certified in sexual assault examinations and a family advocate certified in victim services. Kelly is a licensed master social worker and has worked at the St. Luke’s Child Protection Center for 23 years. She became manager of the center in December 2011. Oral said she thinks the UIHC closed the clinic because the Iowa Legislature cut Medicaid by $25 million in fiscal 2018. 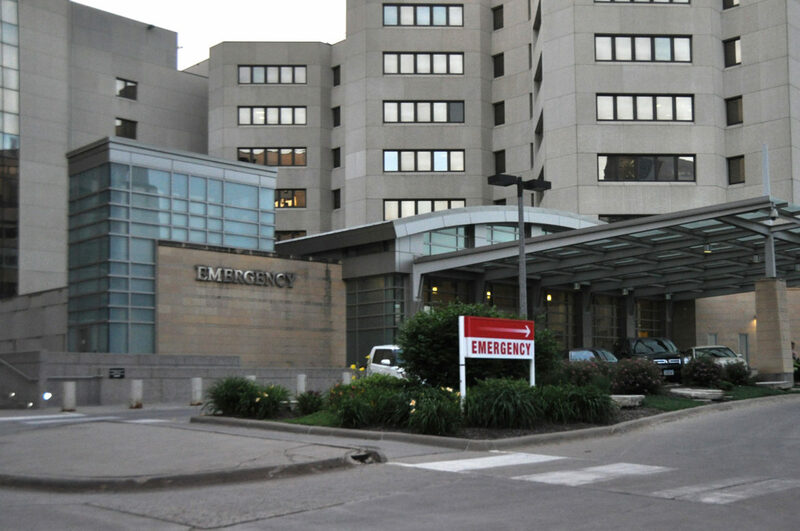 University of Iowa Hospitals and Clinics. But Moore, the university spokesperson, said the UIHC’s decision to shut down Oral’s clinic had nothing to do with cost-cutting. In addition to eliminating what he calls duplication, Moore said UIHC wanted to increase collaboration with St. Luke’s center. Although Moore acknowledged that St. Luke’s and Oral’s clinic provided different services, he said the hospital did not define duplication of services as providing the exact same services in two separate locations. Rather, the Child Assessment Clinic was considered a duplication of the St. Luke’s Child Protection Center, because both are considered outpatient settings. UIHC administrators and Oral met Tuesday, June 12, to discuss why the clinic was closed after IowaWatch’s inquiries for this story. Afterward, Moore wrote in an email, “The primary reason that the Child Assessment Clinic closed was to enable the UI to focus on its duty to provide inpatient care and ensure that outpatient services were provided by Child Protection Centers to patients and families affected by either a suspicion of, or evidence of, child abuse or neglect.” Oral deferred to Moore’s statement. Moore and Kelly said the collaboration between the UIHC and St. Luke’s consists of phone consultations and referrals. In the consultations, medical providers at the UIHC give the patient’s background to St. Luke’s and provide guidance on how to proceed, which could include contacting the Department of Human Services or law enforcement if necessary or taking a referral. One of Oral’s former clients, a woman whose identity IowaWatch chose to withhold to protect her family’s privacy, said that the comprehensiveness of the services at Oral’s clinic were huge for her family. Eight years ago, the woman said, her step-daughter told her about being spanked by the young girl’s step-father. The step-daughter lives with her birth mother and her birth mother’s second husband. After consulting with a friend at the Iowa Department of Human Services, the step-mother and her husband conducted a body check on the step-daughter and found a mark. During a single appointment at Oral’s Child Assessment Clinic, Oral met with the step-mother and her husband, then with the husband’s ex-wife and her current husband, then with all four of them together. Finally, Oral met with the step-daughter for a trauma screening. “She walked us all through what’s actually important with raising a child together in a divorced situation and what you should and shouldn’t do as step parents,” the step-mother said. The step-mother said the session at Oral’s clinic helped her understand her role as a step parent. Afterward, Oral followed up with her family through email and phone to ensure that the family had not encountered any new issues. Her step-daughter is still under the custody of her mother. This case never was taken to law enforcement and her step-daughter’s step-father never was charged with wrongdoing. At St. Luke’s Child Protection Center, a child believed to be victim of abuse meets with a forensic interviewer who seeks information about the abuse allegation that may be used in a criminal investigation and for determining appropriate services for the child and family. Authorities from the Department of Human Services and law enforcement observe the interview so the child does not have to repeat the experience to different investigative agencies. At the same time, family advocate Nancy Scheumann meets with the parents or guardians of the child in a referral and education session to discuss an information packet. That session reviews child abuse dynamics and behaviors the parents may expect from their child. Scheumann also assesses the parents’ attitudes and feelings about the child abuse allegations, the investigation and the process used to assess the safety of the child’s living arrangements. She makes written referrals to follow-up sources when needed. Families facing a child-abuse situation also face a daunting care system. Oral said that more than 95 percent of the families seen at the Child Assessment Clinic didn’t know how to navigate it. “Even as a doctor, if I need a specialized service for me or a family member, I have to work on it with all my connections for a week to reach the right person,” Oral said. That’s why Oral’s clinic connected families with additional resources. Providing psycho-social evaluations on-site and right away made navigation of the system easier and more manageable for families, she said. In fiscal 2017, the St. Luke’s Child Protection Center reported to the Iowa Department of Public Health that it saw 849 children and their families. Scheumann sees and follows up on an average of 12 families per week. Oral’s clinic saw between 80 to 100 patients per year. Both the Child Assessment Clinic and St. Luke’s center provide evidence against child abusers to law enforcement. And both follow-up with the families until they indicate it is no longer needed. The staff at the Oral’s Child Assessment Clinic included a child abuse board certified pediatrician and adverse childhood experience expert, Oral; and a social worker, nurse and program administrator who were all trained in family well-being assessment and conventional psycho-social evaluation. They all practiced trauma-informed care through in-depth trauma screenings for children and their parents and provided educational and referral services. Kelly said St. Luke’s“occasionally has to see the same child more than once. Oral said, “rarely, maybe less than 5 percent,” when asked if her clinic had to see the same child more than once. 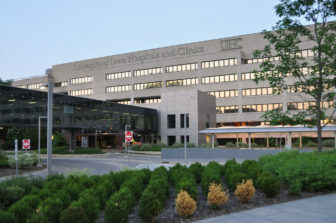 Since closure of the Child Assessment Clinic at the UIHC, St. Luke’s Child Protection Center has seen an increase in consultations with medical staff and in medical referrals from the hospital, Kelly said. But St. Luke’s doesn’t get any funding from UIHC. It’s funded through grants from St. Luke’s Hospital and private donations received through St. Luke’s Healthcare Foundation. Kelly said the center used to have a full-time and a part-time family advocate, but the part-time family advocate was let go because there wasn’t enough work to be done. Now that the center is accepting referrals from the UIHC and their work load has increased, Kelly and Scheumann said they need another advocate. “I think our center and all the other centers are doing a great job for families,” Kelly said. Part of the funding problem for the UIHC Child Assessment Center, according to Oral, is that the healthcare system, including the UIHC, is revenue-based and allocating money to health services that generate revenue and under-funds services that don’t. “Child abuse related services never generate enough revenue,” Oral said. In fiscal 2017, the Child Assessment Clinic generated $44,132 and cost $181,960 to operate. But Oral also said UIHC focuses on symptoms present at time of treatment when giving treatment. That approach, Oral said that approach costs more taxpayer dollars down the road because the root of the ailment is not treated and the patients’ health care needs continue. For example, consider treatment for a diabetic patient with poorly regulated sugar. In such a case, the doctor has to teach the patient to control the sugar level, Oral explained. But what if the patient suffers depression associated with childhood sexual abuse? “Without going down there and helping the client to open up to us so that we can provide the services that they need to deal with the trauma of sexual abuse – nothing is going to convince that person to regulate their diabetes,” Oral said. To demonstrate the need at the original hospital site for trauma-informed care based on patients’ trauma history, Oral pulled out data from an ongoing study she and her colleagues are conducting in the emergency room of the UIHC. 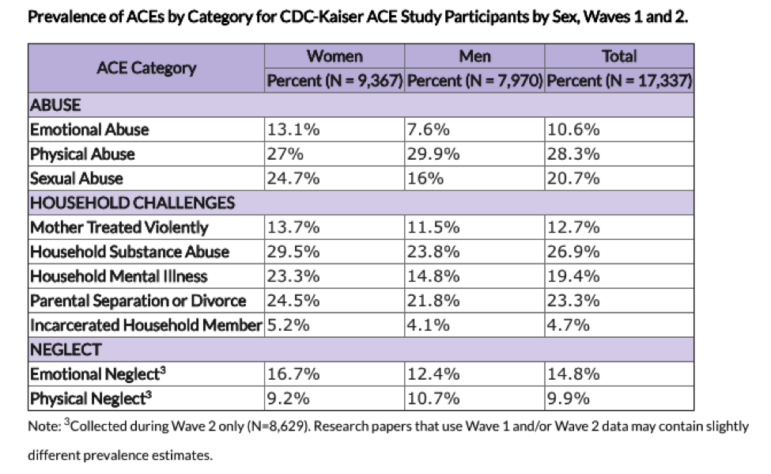 They are asking ER patients questions posed by Dr. Robert Anda and Dr. Vincent Felitti in the original 1995-1997 ACEs study about exposure to 10 categories of abuse, neglect and household dysfunction. The full study has not been published yet, but so far they have found that 41 percent of families who go to the emergency room with a child and are participating in the study have four or more adverse childhood experiences. Oral said four or more adverse experiences are associated with high rates of depression, substance abuse, domestic violence and any kind of major illness. Jennissen, the UIHC emergency room pediatrician who also helped with Oral’s study, said his experiences have demonstrated amply the critical importance of on-site assessment clinics like Oral’s. He has been practicing for 20 years and is one of three doctors specializing in emergency pediatric care. He has contributed to more than 30 medical publications, including journal articles on pediatric pain management and prevention. To make a difference, you need to do more than that, he said. This IowaWatch story was republished by The Gazette (Cedar Rapids, IA) under IowaWatch’s mission of sharing stories with media partners.